Calling all you crazy kids out there! Think that Lego castle you just built in your basement was cool? Well take a look at this. 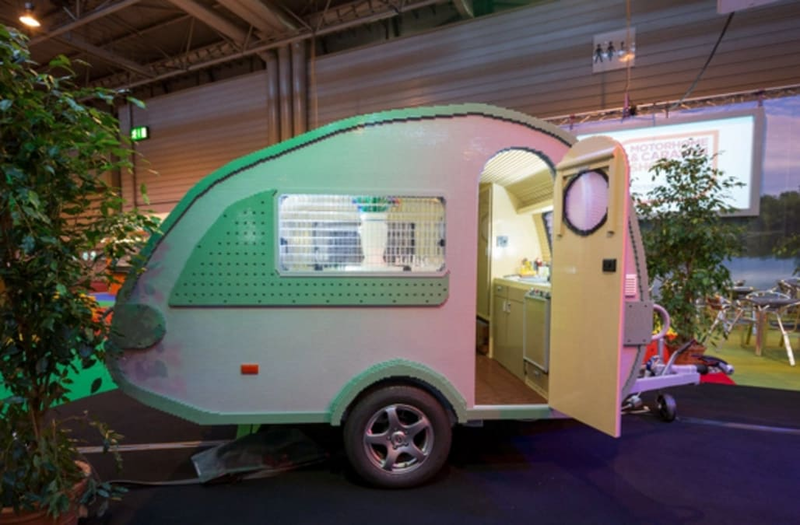 After 12 weeks of construction, 1,000+ hours and 215,158 Lego blocks later, the Guinness World Records' "largest caravan built with interlocking plastic bricks" was unveiled at the at the National Exhibition Centre in the United Kingdom. The Lego model was built by a team of 12 "professional Lego builders" and is approximately 7.2 ft tall by 11.8 ft long. Not only is this caravan incredible, it's also fully functional. According to the Guinness World Records, "The life-sized camper is based on a real 'teardrop' style caravan (as required by Guinness World Records guidelines), and features fully-functioning amenities including a sink with running water, electric lights, a bed, seating, a chess set, toothbrushes and even simulated cooking facilities and fridge." Full size caravan built entirely of Lego. Must come in kit form. 😉😏 #lego #legocaravan #nec #caravan #exhibition #buildthatonethen! !